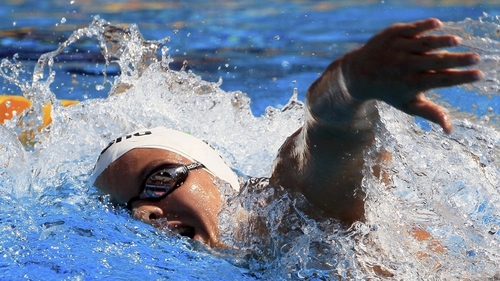 Irish swimmer Grainne Murphy has won a silver medal at the European Championships in Budapest. The 17-year-old from Wexford knocked eight seconds off the Irish record in the 1,500m final. She finished second to Denmark's Lotte Friis in a time of 16:02.29. Spain's Erika Villaecija was third. Minister for Sports Mary Hanafin congratulated Grainne on her success. Ms Hanafin said: 'To have achieved this level of success at such a young age certainly holds the promise of a very bright future for Grainne, as an elite athlete.